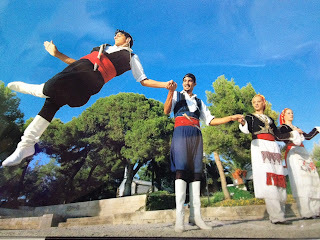 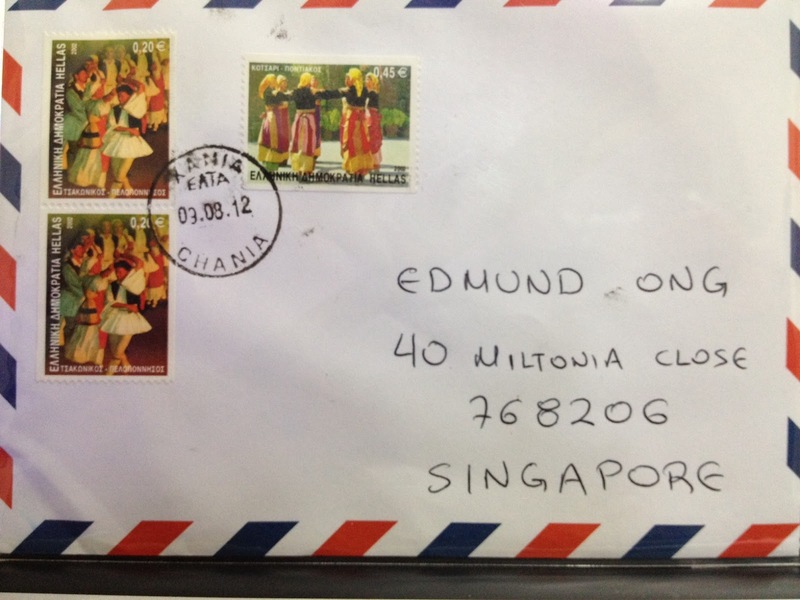 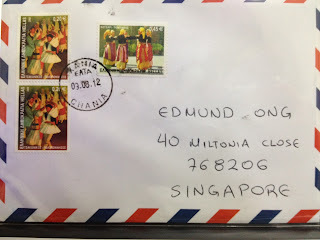 eD@HoMe: Traditional Greek Dances Cover & Postcard! 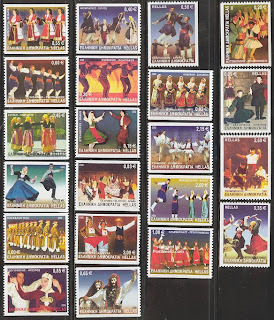 Once again many thanks to Soulimiotis Spyros for this lovely cover posted from Crete, Greece! 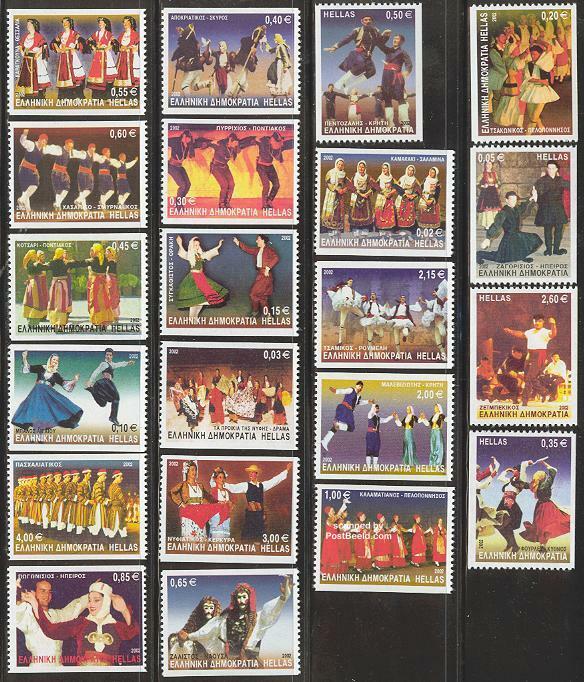 Issued on 2nd January 2002, the stamps show the Traditional Greek Dances. In addition, Spyros enclosed a beautiful postcard showing Maleviziotis, a traditional Greek dance from his hometown, Crete.